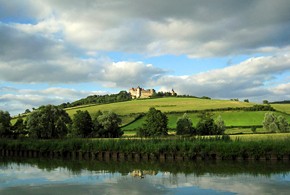 Southern Burgundy is one of the most popular areas for barge cruising as it is the heart of the Cote d'Or wine region. From the historic city of Dijon to the Routes des Vins with its famous wine villages to the sophisticated wine center of Beaune, this area is renowned for its noble Chardonnay and Pinot Noir vintage wines. 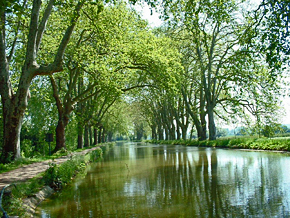 Three picturesque canals and the Saone River surround this area making it a highly desirable barging region. From the summit of the canal at Pouilly-en-Auxois, the canal flows through the lush Valley of the Ouche River and on through Dijon, the capital of Burgundy, before it empties into the Saone River at the bustling port town of St-Jean-de-Losne. From the Saone River at Chalon-sur-Saone, the Canal du Centre skirts the southwest side of the Cote d'Or wine region as it rises toward the Upper Loire region. As well as vineyards and inviting villages, pastures with Charolais cattle dot the countryside making this an idyllic and peaceful waterway. From the Saone River at St. Symphorien, the Canal Rhone au Rhine meanders to the east where it eventually enters the mighty Rhine River in Germany. The section of canal cruised by the deluxe barge Hirondelle ends its journey in the picturesque town of Dole on the Doubs River, where Louis Pasteur war born. 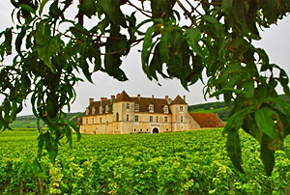 Sightseeing can include a visit and wine tasting at the famous Clos de Vougeot, Beaune with its impressive Hospice and center of Burgundy wine culture, the colorful market town of Dijon, the Route des Vins and more.